So…the Cocteau Twins’ covers of ‘Walking In A Winter Wonderland’ and ‘Frosty The Snowman’ first appeared in 1993 as a single entitled Snow. These have become cult items over the years, and I end up posting them most years because I really love them. First of all, having grumbled in previous years about the difficulty of getting hold of these two Cocteau Twins tracks, this year they have become available on a 4CD boxset entitled Treasure Hiding: The Fontana Years. This very good news indeed (and there’s a need for good news in the world right now). So enjoy – and track down that boxset! One of the fortunate things about writing a blog is that I get sent a *LOT* of new music – much more than I can possibly review. Once in a while something catches my attention, and is actually so good that I feel obliged to buy the thing myself to support the cause, rather than just simply adding it to the pile of review CDs. 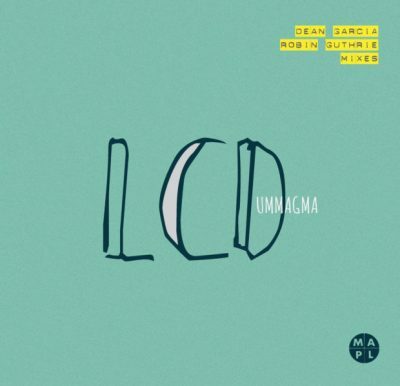 So is the case with the LCD EP from Ummagma. I featured the Robin Guthrie remix of ‘Lama’ on the blog a couple of months ago but the whole EP is now available and it’s fantastic. Canadian singer Shauna McLarnan and multi-instrumentalist Alexander Kretov have produced an EP that stands as a body of work in itself, with two of their heroes, Cocteau Twins’ Robin Guthrie and Curve’s Dean Garcia. It’s twenty-two minutes of prime shoegaze that’s worthy of your listening time. Hell, 2016 was the year of grime’s resurgence – but with this and new albums from the likes of Ride, Slowdive and the Jesus & Mary Chain, perhaps 2017 will go down as the year of shoegaze. ‘They’ say you should never meet your heroes. 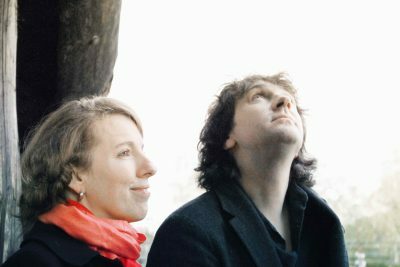 Fortunately for Ummagma – singer Shauna McLarnan and multi-instrumentalist Alexander Kretov – were introduced by a mutual friend to Robin Guthrie, guitarist in the Cocteau Twins and co-founder of Bella Union label. The result was that Robin was so taken with the track ‘Lama’ that not only did he remix the track (which originally appeared on their 2012 album Anitigravity) but added his own parts to the mix. It’s the lead track on Ummagma’s forthcoming EP LCD. Check out Lama below. It’s a particularly lovely, dreamy piece of work that begs to be played again and again. So far, the Christmas songs I have posted on the blog are still available to go and buy. Today’s offerings from the Cocteau Twins seem to be long out of print, for reasons I’m not sure of, both physically and digitally (I had to write that last year, and sadly, nothing has changed. I have checked on Amazon and iTunes again – still nothing, at least in the UK. 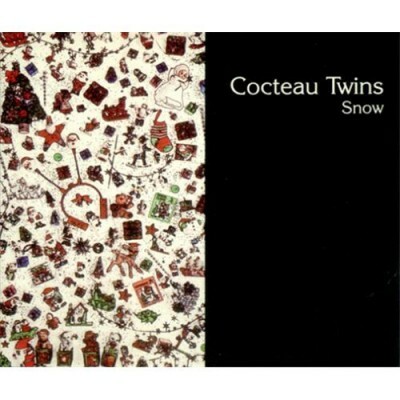 It is a source of disappointment that I never got to see the Cocteau Twins live. This was a very limited Christmas single in 1993. I know I post these every year…but what the heck, I love these two covers. Originally released as a two-track single entitled Snow not long after their penultimate studio album Four Calendar Cafe, these two tracks attained the stuff of legend. I’m still kicking myself for not buying that single when I had the chance. These two tracks were collectively released together as a single called ‘Snow’ in late 1993. I’ve been kicking myself for not buying it ever since, though you can now find both of them on the From Lullabies To Violaine comps. Are they classic Cocteaus tracks??? Perhaps not in the sense of anything off Treasure or Heaven Or Las Vegas, my favourite two Cocteaus LPs, but still pretty good, nonetheless.